Re-balance your health and enjoy ultimate relaxation and well-being with a three-night getaway. 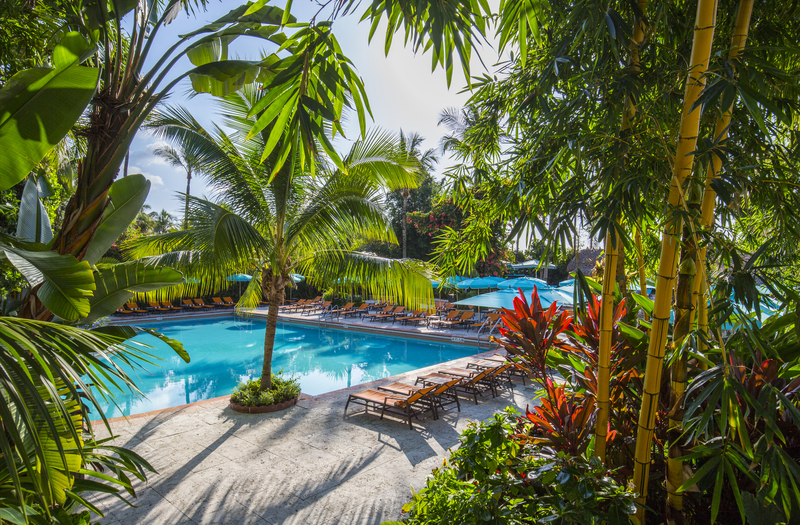 This oceanfront sanctuary provides a relaxing space to connect with nature and help you find your tropical paradise through a personalized 'Thyme and Tips' garden tour, AVEDA spa credit, private Tiki Cabana or Beach Cabanita usage, F&B savings and more. With this 360-degree to retreat, you’ll immediately be transported to a state of Caribbean paradise in the bustling heart of Miami Beach. PACKAGE INCLUDES: 3-night Oceanfront Accommodations for two Daily breakfast buffet for two Choice of Private Poolside Tiki Cabana or Beach Cabanita for three days One complimentary Tiki Cocktail per person at the Pool or Beach Bar $50 per person Spa Credit at The Palms Spa Aveda 'Thymes and Tips' Essensia Garden Tour with one of our chefs to learn great tips on how to grow your own herbs and vegetables Grow-your-own Garden Starter Kit to take home and plant This offer is valid through 2019, subject to availability. Package is based on a three-night stay. Additional room nights may be added. Please call our Reservations Office at 1.800-550-0505.